Is a weekend break the best way to sample cruising? Embarking on a 2, 3 or 4-night mini-cruise can be a great way to sample a holiday at sea, but it might not give a true picture of a full-length cruise. I am aboard a cruise ship for the first time and ready to see what a holiday at sea is all about. I have a beautiful room with a balcony, although I am told that it is referred to as a stateroom. The dining options are incredibly varied; I can have a fine dining experience for no extra charge or opt for something more casual in the buffet, and the drinks prices seem to be reasonable, just £4.25 for a fruity cocktail. 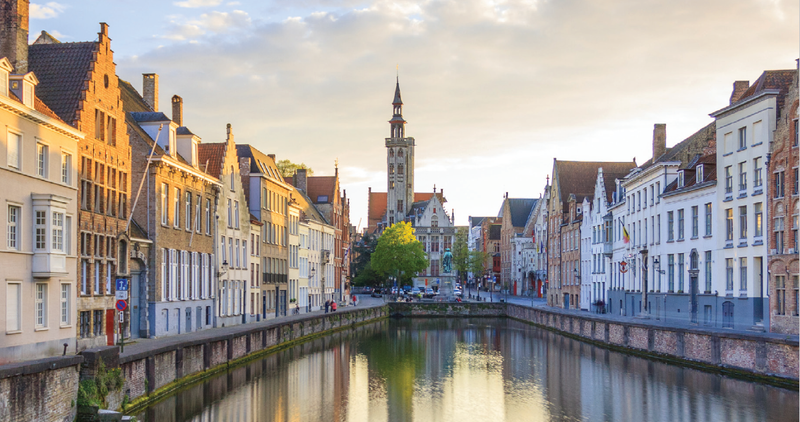 My cruise spends a day in port at Bruges. I feel like I have made the perfect choice for sampling ship life. I sit back and relax with a Mojito, watching the sunset on the horizon and enjoying the sounds of the live band as we sail from Southampton. I have only been on board several hours, but already I am starting to feel myself being consumed by everything that is on offer and I like that feeling. Later, I may even browse future cruise potential – that would be voyages, not men. My enthusiasm, however, is short-lived. The last thing I wanted to see was a group of half-naked, intoxicated young women, but that is exactly what I was faced with as a gaggle of hen parties got into full swing. I had enjoyed Beef Wellington in the main dining room and was looking forward to a few drinks in one of the lounges when the young boots appeared and sent me scurrying in search of somewhere more peaceful. This is not what I can expect from a two-week summer cruise around the Mediterranean, however. I have already met some very nice fellow-passengers and we might even book another holiday before we return home. What’s good about booking a mini-cruise? What’s bad about booking a mini-cruise?